Improvise isn't a word parents want to hear from their kid's doctor. Yet pediatric specialists too often have to improvise care because many of the medical devices needed to treat sick children were built for adults. 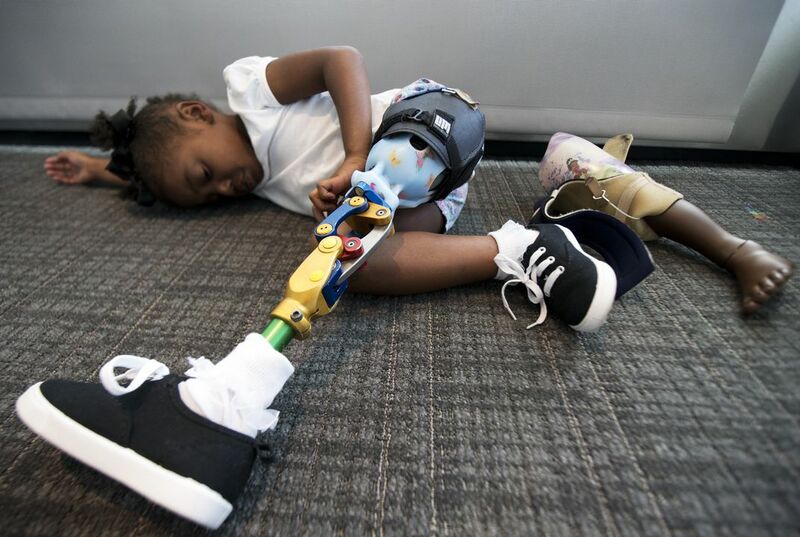 A birth defect left Miyah Williams with one leg missing at midthigh. 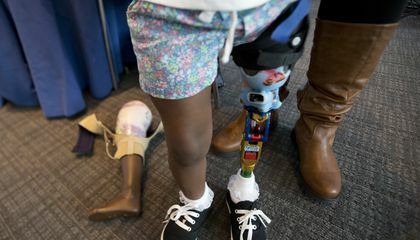 The prosthetic leg she received as a toddler came with such a painful, sweat- and sore-inducing socket - a rigid cup connecting the leg to her thigh - that she refused to wear it. Her mother eventually found a small San Francisco company willing to design a softer, adjustable socket able to grow some as Miyah does. Why are there more devices for adults than kids? I feel like it is a great idea to start medical discoveries in kids because children are growing up and becoming the adults in future years. The technology of adult medical devices is far more advanced than pediactrics and I feel like we should focus on the improvement of that specialty. 3) I agree sooooooo much. Children are just as important as adults and they should be able to have a good fit without it being painful! This article makes it seem like most companies just make these types of things just for adults so then they can make more money. I believe this is true. They need to learn that life isn't all about money, but helping others sometimes, and not certain people but all people that need the same thing. I think that we should wait to give these to patients until they reach adulthood. As a child our body grows rapidly and these devices are not cheap by any means. I know it seems cruel to not help the child like this but it just seems more logical. It's so nice to see that these companies few companies are trying to help young children who often may not be taken as seriously or not cared for as well as adults, even when their needs are just as important.